It was my first Barcamp, so it wasn’t until I parked and checked-in for the Saturday series of 30-minute presentations that I fully realized it was a coders’ boot camp with plenty of designers and social media marketers along for the ride. Unlike the formal speaking schedule found in typical conferences, presenters show up with thumbdrives full of SlideShare, Prezi and PowerPoint content, much of it in beta form, then scribble their themes and topics on Post-Its that serve as both log-in and journal for speaker and subject. After that it’s up to organizers to arrange the order based on content and context, which is where the Post-Its come in as they’re sorted, organized, and debated before making it on to the quasi-spreadsheet wall listing. The audience gathers around, making notes of which sessions they’re interested in attending. The unique approach means there’s no way to know ahead of time who you’ll see or when you’ll see them – an experiment in back end democracy, as it were. 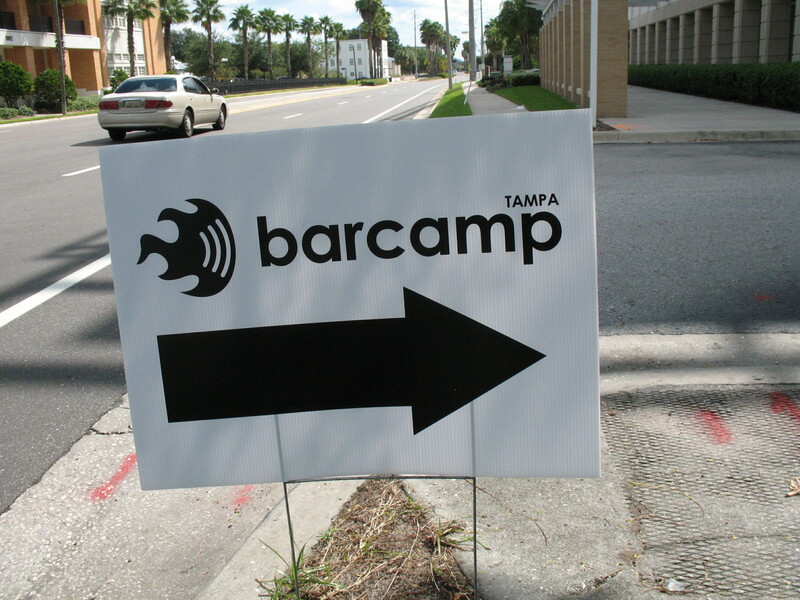 Barcamp rolls with a dynamic lineup ranging from top tier industry talent to first time content breakouts. Graphic, social media, and styling presentations from notables like Chris Coyier, Dave Cross, Ethan Marcotte, and Antony Francis made sure my first Barcamp wouldn’t be my last. This entry was posted in digital media, events and tagged barcamp, code, css, html on April 24, 2012 by John Siebenthaler.